Are you looking for the best dedicated servers in Philadelphia? Philadelphia offers great connectivity to the eastern United States, but servers in this city are often expensive and do not include some useful features. ServerMania offers a much more affordable option by hosting your dedicated server at our data center in Buffalo, New York. Located just 380 miles from Philadelphia, Buffalo delivers exceptional North American connectivity at a fraction of the cost. This makes Buffalo the perfect choice for enterprise-grade dedicated servers. With custom built servers and 15 minute response times, ServerMania is here to meet the needs of any client. Why choose dedicated server hosting in Buffalo? Buffalo offers the same great connectivity as Philadelphia, with 120Gbps of capacity to Tier-1 carriers like Level3, Telia, Torix & XO Communications. Best of all, Buffalo dedicated servers start at just $89 per month, making them an affordable alternative to Philadelphia dedicated servers. ServerMania’s Buffalo data center leverages multimillion dollar system architecture to provide you with exactly the sort of service you’ve come to expect of us - incredible availability, high speeds and unbeatable prices. Redundant power, network, and security systems ensure that your server remains online at all times. These factors are critical for the best dedicated hosting experience. Our Buffalo dedicated servers come with a 100% network uptime SLA to deliver a reliable dedicated server hosting experience for your business. With direct fiber connections to both New York City and Toronto, this strategically-located facility is guaranteed to give you an awesome return on your investment. 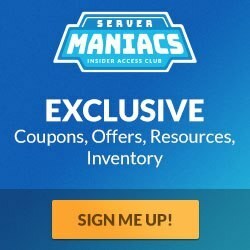 WHY IS SERVERMANIA’S BUFFALO DATA CENTER THE PERFECT OPTION?